John J. Greytak passed away January 30, 2019 in Billings, Montana. He was born on March 18, 1930 in Havre, Montana. He was a graduate of Great Falls High and Montana State University. From an early age John was fascinated with how things worked and how to make money. From the age of 11 until his alleged retirement at 84 John worked everyday. John started his first business while in high school. New car production was halted during WWII. Sensing opportunity, John began selling auto accessories out of his parents’ basement. Malstrom-based airmen were keen to modify their old cars and business boomed. John’s lifelong love of entrepreneurship was established. After graduating from Great Falls High in 1948, John joined the Montana Air National Guard working as a mechanic on F-15 fighter jets in the 186th Fighter Squadron. During this time John met the love of his life Geraldine (Jerry) Mikeson. John’s unit was activated to Georgia in 1951 during the Korean Conflict. Jerry took the train from Great Falls to Valdosta, Georgia where they eloped. John attended Montana State University on the GI Bill, graduating with a degree in Mechanical Engineering. After graduation John and Jerry moved the family to Wilmington, Delaware where John took a job with DuPont. John’s ambitions did not mix with the slow pace of corporate life. John left DuPont to open several car dealerships. In 1968 John moved his family back to Great Falls to start Continental Datsun Volvo and to develop real estate and farmland on a vast commercial scale. This led him to open the Billings Grain Terminal to market the grain he was growing in the surrounding areas. 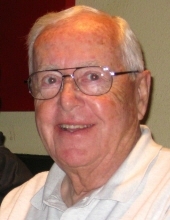 In the 1990’s John moved to Sebring, Florida to develop retirement communities. In his alleged retirement John continued to purchase and sell commercial property. John approached life with a rare combination of ambition and pragmatism. His convictions were best captured by his favorite adage “There are three kinds of people in this world: the dreamers who dream about doing things, the complainers who complain about the things being done, and the doers who get things done.” John was most certainly a Doer. He was preceded in death by his wife of 49 years, Jerry, parents, Jack and Genevieve Greytak, sister Carolyn and brother-in-law Harold Philips of Conrad, MT. John is survived by his brother Dave (Rose) Greytak of Centreville, MD; children: Mike (Jinying) Greytak of Bellevue, WA, Pat (Tracey) Greytak of Missoula, MT, Chris (Mike) Schmechel of Billings, John Greytak of Missoula; grandchildren: Harley Greytak, Matt Schmechel (Angie), Joe Schmechel (Sarah), Ty Schmechel (Jill), Lindsey Greytak, Jordan Greytak, and Hollie Greytak. John leaves behind a very dear and special friend, Jan Kreulen, of Sebring, FL and many wonderful co-workers and partners in Montana and Florida. The family would like to single out the warmhearted staff of Fischer Cottage on the St. John’s Lutheran Ministries Campus for the compassionate care they provided John. To send flowers or a remembrance gift to the family of John Joseph Greytak, please visit our Tribute Store. "Email Address" would like to share the life celebration of John Joseph Greytak. Click on the "link" to go to share a favorite memory or leave a condolence message for the family.